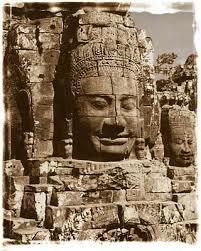 Cambodia is a sweet, slow moving country about ten years behind Vietnam. It still lives, however, in the shadow of its past Khmer Rouge in several senses. First and most prominent to me is that it has an over reliance on foreign funding. Many developed countries applaud the UNTAC agreement as helping to establish some level of governance in the country, but the reality is it did what it could, then wiping its hands clean in the interim period, post conflict and pre Cambodian self rule. The Cambodia People’s Party has almost absolute power in the country, giving the strongest opposition party Sam Rainsy Party a hard time. The foreign community has poured tens of thousands of dollars into the local community, through international NGOs and partner NGOs within the country. They work closely on a number of core issues, mainly on human rights, advovacy and capacity building on development, youth, education, and so on. This has created a sort of buffer effect for the Government. Whenever a particular issue emerges, the international community acts as an in between for the Government and local NGOs. Donor aid is lucrative and so good relationships have to be maintained between them. It is the strength of the CPP party that bulldozes its way through, perpetuating corruption within Government and not having to answer for any of its mismanagement practices. They are still very popular amongst the rural folk, because they never fail to promise greater development to their local communities. They also invoke the past – bringing up their ability to correct the mistakes of the Khmer Rouge regime – to instill fear amongst the people (forgetting that many of the leaders within Government were themselves party to the violence instated). Note: The Khmer Rouge Tribunal is taking place right now, although money from the Cambodian Government is running out. For those who have toiled many years fighting injustice in Malaysia, the results of the 12th General Election was considered vindication. Growing frustration with the administration led to what has been called a “political tsunami”, leading to the stronghold Barisan Nasional coalition losing its two-thirds majority at Parliament level. More shocking was its loss of four states, leaving the loose Opposition coalition to lead five State Governments in total, also unprecedented since Malaysia’s independence in 1957. There were certainly a host of factors leading to this watershed event. Touted very much as an elections in which people exercised punishment votes, the percentage of popular vote for the coalition Government fell from 63% in 2004 to 51.2% in 2008, showing only slightly more than half of Malaysia’s voting population showing support for the present administration. These “push” variables have been charted out in analytic terms, listed in simple order as state corruption, inflation, displeasure with the New Economic Policy and its accompanying preferential policies for the Bumiputera community (made up of Malays and natives of the land) resulting in gross intra-ethnic socio economic disparity, issues of religious freedom, the economy, and the general perception of institutional and structural failures (the judiciary and police are two in particular). During the Minda Muda Launch in KL a week or so ago, I was asked by a member of the audience whether there were any other countries that we could compare Malaysia with. I said yes, South Africa is the closest one could think of. Indeed, a friend is doing his PhD in comparative economic analysis between the two countries. How similar, though, the two countries were, I wasn’t sure until an enlightening conversation today. We compared the political and economic systems of the two, and agreed that both were living under a time bomb that if not addressed immediately, would implode soon, scarring the country and its occupants permanently. Ironically enough, South Africa was duly impressed by the affirmative action policy in Malaysia, so much so that it adopted it wholesale in 1994, giving a twenty year period for its implementation. Back then, the freedom fighters released the country from its repressive apartheid system, oppressing the black community. Today, preferential policies are given to the advantage of the blacks over the whites in almost all spheres of public life. This is an exact replica of what we have in Malaysia. Affirmative action policies come in the form of: Requirements for the blacks at managerial, employment and shareholders’ levels, where 25% of shareholdings should come from blacks, 40% of employment. Procurement should also be given to black service providers, such that many white companies conveniently promoted their black sweepers to become CEOs immediately, but merely as puppet leaders since they have little decision-making abilities. Just like Malaysia, economic power is concentrated on a small number of black families. Where banking rules require 25% of the shares to be owned by blacks, 16% of this has already been sold off to a group of 5 rich black businessmen, who own 90% of this wealth (the remaining 10% is distributed equitably, but this means only 1.6% of the banking wealth is benefiting 250,000 blacks). The other 9% yet to be sold off is being bidded by a team of 3 very rich black guys as well. The principle is that whilst a percentage of corporate equity is intended to be distributed to the marginalised community in a country, it should be done such that all members would benefit. Instead, affirmative action policies merely transfer wealth from one elite community to another. The same has taken place here. They were wise in installing a time factor to their policy, but the bad thing was: They achieved in 10 years what they were to have in 20. The argument is therefore that the policy should stop right now. The same can be said of Malaysia, but worse – it was supposed to have ended in 1991, but it is now 2008 and it does not look like anything will change under a Barisan Nasional government. Policies aside, their political leaders have equally scary similarities as well. Thabo Mbeki has been losing his popularity because positions himself as a highflying intellectual, cream of the crop from London, surrounding himself with a team of Londoners. Zuma on the other hand emerged from the ranks of the people, considered a left wing peoples representative, close to labour unions and the social democrats. Within the party support is growing for Zuma, and many suspect next years’ national Elections will mirror closely what happened in Malaysia this year. Drawing parallels, responses have varied significantly, some people blaming implementation of the policy instead of the policy itself. I emphasise that the policy itself is at fault. Attaching race to any affirmative action policy is suicide for any country, because it lays the ground and provides great room for wastage, abuse and corruption – based on its very technical definition. Better it would be for needs to be considered the qualifying factor. Shame on Malaysia for preaching this suicidal policy to South Africa. Woe betide any other country that is even considering “learning” from us. Whilst there are certainly short term gains for the marginalised community, its long term liabilities will be destructive, and I caution against it wholeheartedly. It’s my first time in the Middle East, and understandably am trying to absorb as much as possible with all senses. Kuwait is an interesting first country in the Middle East to visit, since it has probably one of the best human rights records amongst its neighbours. It also boasts a relatively independent and outspoken media, willing to challenge the Government. My first observation was that there are numerous foreigners working here, mainly Indians and Filipinos. My suspicions were true, since based on statistics there are 1.2 million foreigners in Kuwait, out of a total resident population of 2.9 million (estimated). 80-90% of the workforce here is made out of non-citizens, which sounds pretty much like Dubai as well. My second observation was the utter dryness of the city. As you land from the plane, all you see is brown sand everywhere stretched across the lands. Date and palm trees are replanted all across to “greenify” the place. The heat is sometimes unbearable, reaching 41 Celcius in the day and 35 at night. Skin gets dry and scaly without lotion. A reaction is for the air-conditioning to go the reverse, blasted till I am almost frozen indoors. Since I am here for the 4th World Islamic Economic Forum (www.wief.org.my), I am acutely aware of the way Islam (or religion in general) is practiced here, drawing comparisons with what we have at home in Malaysia. It’s interesting now being in the minority of people who are not covered by the Niqab. This of course is a culture sociological heritage where in the past sandstorms compelled people to don cloth to cover their faces. (There was a sandstorm just before I arrived). 80% of Kuwaitis practice Islam, and have not yet had full conversations on their understanding of Allah. There are still a sizeable number of Christians in the country (300,000) and on Friday there were throngs of Lebanese Christians traipsing to the traditional Church behind my hotel. Coptic Christianity is evident as well, based on the little tattoo I observed on the hand of one, a mark of their community. This is reminiscent of the way Islam, Christianity and other religions blended harmoniously in the Middle East and Spain before. Women are less conservative here than in Saudi Arabia, or so I am told. There is a variance, of course, with some dressed in sleeveless tops and dresses. They are certainly very visible in public life, many driving big luxury cars in the city (the ones you cannot find in Malaysia). Of course men still take primary leadership positions and women were only given the right to vote in 2005 (just three years ago!). Traditional gear is the popular wear here. Men wear white; women stark black. In the souq (market/bazaar) today, shops were displaying rows and rows of flowing material. Compared to Pakistan which I visited for the 3rd WIEF and had the most colourful fabric I’ve ever seen, it was almost initially amusing to find that one cloth would sell white/pale yellow/cream cloth alone; and another plain black alone. From a Malaysian perspective, one sniggers to think of homogenous clothing as outfits that dehumanise a person. That may be valid, but upon closer inspection I may have reason to change my mind. The black traditional dress has variation in patterns, embroidery, edging, stitching, motifs, cloth texture and so on. It is actually a test of creativity, which tailors unbelievably live up to. How many shadows of black could one possibly innovate, right? But yes – they each have their own uniqueness about them. Really fascinating world, this. Kuwait’s architecture must be commended! Their skyline is spotted with beautifully designed buildings, each with their own incredible shape. It is a modern city, very clean (it’s just the dust that gets to you), tinged with sophistry. I envision this place becoming a second Dubai in a decade. Their waterfront overlooking the sea – part of the Persian Gulf – is a favourite for locals on weekends (Friday & Saturday) to go fishing, sit alongside on benches to chat, go shopping and chill out. Yes of course, there are McD’s, KFC, Subway, Starbucks, Costa Coffee and all galore. But local cuisine beats all else flat. The flat breads, chickpea and bean paste, fresh yoghurt, fruits, lamb, saffron rice are going to contribute to an exponential hike in my weight. 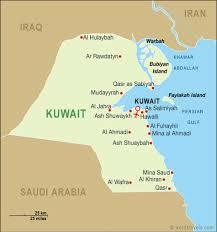 In all, Kuwait is a great introduction to the Arab world. Learning Arabic here is easy too, since people are responsive and friendly when attempting to speak phrases here and there. I think this will be a good trip, overall. Alhamdullilah!